In 1920 producer Joe Schenck bought Charlie Chaplin's old movie studio, renamed it Keaton Studios, and turned it over to Buster Keaton. His instructions were simple: make eight two-reel comedies a year, and for the next couple of years that's exactly what Keaton did. He made 19 shorts before graduating to features and those films are masterpieces of silent comedy. Kino has, for the first time (in R1 at least) released all of Keaton's solo silent shorts in one incredible Blu-ray set. With newly remastered prints and some nice bonus features, this is an must-buy collection. 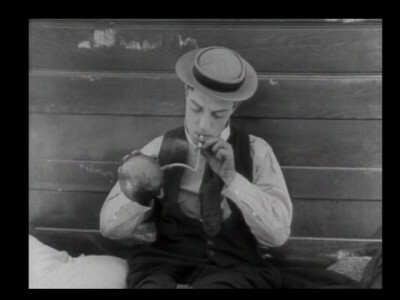 Background: Buster Keaton had been performing on vaudeville stages from the time he was three years old. His parents, Joe and Myra Keaton incorporated him into their act since they had no one to watch him while they were on stage. Their act, comedy act, The Three Keaton's, was quite successful, and they toured America and played in England. It was a very physical act, with Joe throwing Buster around the stage and into backdrops. But by 1917, things were not looking so good for the act. Joe Keaton was drinking, and was prone to violent fits. When he was drunk, his timing was off, which was hurting the act. Also, Buster, at age 21, was just too old to play the upstart son, the role he had played in the act since he was three years old. Added to that was the fact that vaudeville was dying. Movies had arrived, and stolen much of its audience. Bookings in good vaudeville houses were getting harder and harder to get. So Buster decided to try to make it on his own. He went to New York, were his agent immediately found him work on a new revue show, The Passing Show, at $250 a week. While Keaton was waiting for rehearsals to start he ran into fellow comedian Roscoe "Fatty" Arbuckle. Arbuckle had just signed a deal with promoter Joe Schenck to form his own production company and was working on his first short. 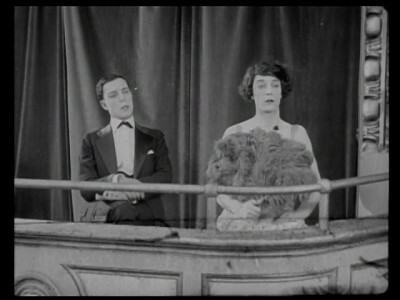 Arbuckle asked Keaton if he'd like to be in a scene in his new film. Keaton, who had never been in a movie studio before, agreed. The next day Keaton showed up at the studio, and did a short bit where he bought some molasses from Fatty and was hit by a flying bag of flour. The next morning, Keaton went to his agent and asked if he could get out of his contract for The Passing Show. His agent said, "Sure, we'll just tear up the contract," and proceeded to do just that. Buster then went back to where Fatty was shooting, and joined his group at $40 a week. Altogether, Fatty and Buster made 15 two-reel shorts (of which thirteen still survive). After that run, Arbuckle signed on with Paramount to make features (his contract would give him $3 million over three years which isn't bad for 1920), and Schenck's signed Keaton to make two-reelers. He bought Charlie Chaplin's old studio for the comic and left him alone. As long as he made eight shorts a year, Schenck was content to let the artist create what he wanted, however he wanted to do it. The Keaton Two-reelers: I'm not going to describe each short and comment on each film in this set. You don't need to know the plot to The Blacksmith, it's secondary to the gags, and mere words can't accurately describe Keaton's physical gags. (When he does a pratfall he doesn't just fall on his rear, he falls on his head, spins around and then his body hits the ground. You really have to see it to get the full effect.) Suffice to say that these are all excellent, classic films that are hilarious, creative, and awe-inspiring. Instead I want to talk about these films as a whole, and what sets them apart from other two-reel comedies that were being made at the same time. The first thing to strike viewers about Keaton's films is that they all have an internal logic and thought out completely. They are not a series of random gags that are strung together. If something happens, Buster ending up in the middle of a police parade as he does in Cops, there's a reason that he's there and the film explains how he gets from there to the next scene. 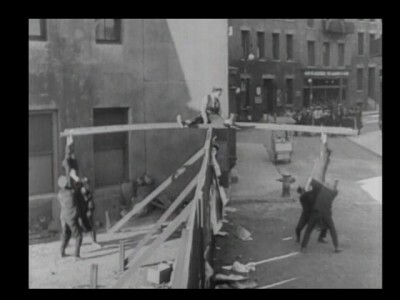 That may seem like feint praise, but a lot of silent comedy shorts didn't go to this trouble and are not thought out. There's also an acrobatic precision in Keaton's shorts, especially the physical gags. It's almost like a ballet watching Keaton performing his stunts. The moving staircase in The Electric House is a great example of this, where the comedian falls up and down the device time and again, and every time it is slightly different and hilarious. No review of Keaton's work would be complete without mention of his facial expressions, or lack thereof. Known as "Stoneface", Keaton's character doesn't laugh or smile, or really show much emotion. This is a wonderful aspect of his persona. He's like an 'everyman' caught in extraordinary circumstances and what he sees sometimes just doesn't compute. An excellent example of this is when he finishes building his house in One Week. A rival has changed the numbers on the boxes of his build-it-yourself house and the result is a terribly awkward looking domicile. Instead of crying or wailing, Keaton just looks at it with a blank expression as if he's thinking 'are my eyes telling the truth?" It adds a lot to the comedy in these shorts. The films in this set are all classics, and they're all extremely funny. It's hard to pick which one is best. 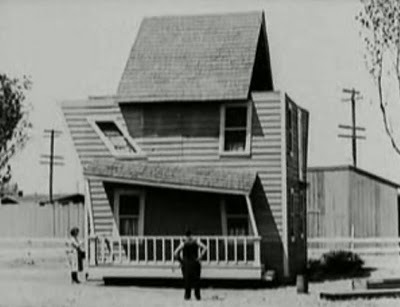 How do you compare the creativity of The Play House, where Keaton plays all of the members of a band and everyone in the audience with the manic energy of Cops where he ends up being chased by the entire police force? They're all great and worth watching. The 19 shorts in this collection are presented on three Blu-ray discs, each in its own case. The three cases are housed in a slipcase. Kino used several musicians to accompany these films, but didn't see fit to credit them on anywhere in the packaging or press release. The only place you'll find them listed is at the end credits of each film. Because of that I can't give you a complete list of people who worked on these shorts (Ben Model is the only one that springs to mind). As I recall, they were all single-performer works, using piano, organ, or synthesizer. Some of the top names in silent film accompaniment such as the Mont Alto Motion Picture Orchestra or Steven Horne are unfortunately, not present. As for the scores, they ranged from acceptable to good. All of them were scene specific and well thought out, though I disagreed with some of the choices that were made. In The Convict, for example, a slide whistle was used during some of the pratfalls. This was analogous to a dubbed soundtrack on a sitcom, it was pointing out the joke, just in case you're too dense to figure it out for yourself. Aside from a few instances like that, the music was generally pleasant. The black and white full frame image has been newly mastered in HD from generally nice prints, but it hasn't been restored. There are the same specks and dirt on the prints that appear on other versions. That's too bad, because these films could certainly be enhanced by some restoration. That said, they do look better than their SD DVD counterparts. I popped in a couple of the shorts that Kino released earlier for side-by-side comparisons and in all cases I preferred the Blu-ray release. This new set has a lot more detail. In Cops for example, in the scene where Buster lights a cigarette with a bomb he's sitting next to a partially covered rug. On the DVD (a screen cap is above) the rug (on the right side) looks like a gray mass. On the Blu-ray disc the pattern can clearly be discerned. (Unfortunately I couldn't get a capture of that.) The blacks are darker too, and the contrast is very nice. Overall it's a nice looking set. This set comes with some nice bonus features. Fourteen of the films come with 'visual essays,' short documentaries on the films where a historian or other expert discusses some aspect of the movie while promotional images and excerpts appear on the screen. These are informative and fun. Several of the films come with alternate "digitally enhanced versions." These are where they've let the digital techs do their thing and improve the visuals of the movie as much as they could. Some people will enjoy these more... they certainly look more polished. I preferred the other versions however since the enhanced movies did 'feel' like a silent film from the 20's. I know that's vague, but the lack of grain and other slight imperfections made the movies feel a little sterile. I'm very happy that these were included as alternates rather than being the only version available. There are also some rare short outtakes from The Goat, Cops, The Blacksmith, The Balloonatic, and Day Dreams. Kino has included some other silent films as bonus material. Disc two features The Men Who Would Be Buster, four films (three are only excepts) that borrow heavily from Buster's comedies. The first entry is Lupino Lane's Only Me (presented in its entirety) takes its idea from The Play House. 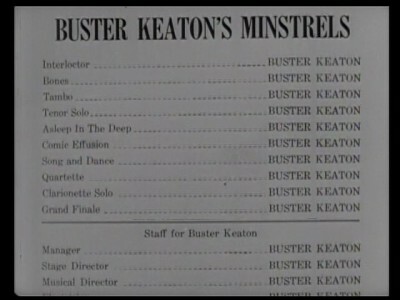 This is a great illustration of why Keaton is such a great talent. While Keaton's film does borrow from a film he made with Roscoe Arbuckle, Backstage and includes some of the same gags Keaton improves on the original. He expands on the concept and comes up with the concept of being every member of the orchestra as well as many audience members and the performers on stage. He does this through trick photography, exposing the same piece of film multiple times with sections blacked out. The effect is pretty amazing. Lane's film, on the other hand, takes the concept and instead of making it better makes it cheaper. Lane plays the band, conductor, audience and performers, but instead of appearing in the picture at the same time there's never more than one Lupino on the screen at a time. He just uses close-ups and one-shots to create the illusion that he's filling the orchestra pit and none too convincingly. The other films (all excerpts) include a cop chase scene similar to the one in The Goat from Billy Bevans Be Reasonable, Charley Chase lifting a scene from Hard Luck in Hello Baby, and Stan Laurel using another gag from Hard Luck in White Wings. 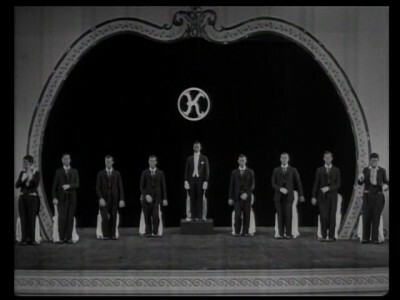 Disc three includes 1922's Character Studies, a gag film with appearances by several silent stars, and an except from Seeing Stars a First National promotional film, also from 1922, that features Keaton as well as Charlie Chaplin and others. This is a collection of some of the finest silent comedies ever made. They are true masterpieces, and they look better than I've ever seen them on these Blu-ray discs. This is a DVDTalk Collector's Series title. Note: The images in this review are from SD DVDs and do not represent the image quality of the Blu-ray set.